Ring Communications, Inc. is a recognized leader in the internal communications and security industries. Ring develops, manufactures and distributes internal communications systems that easily interface to CCTV and card access systems. A well established, financially secure company, Ring has a proven record of high-quality products, technical training and customer satisfaction. Rings goal is to provide solutions to fit its customers needs: whether a complex system requiring special design and engineering -- or one of our standard systems -- our customers can rest assured that Ring will provide high-quality, reliable systems backed by service that is unparalleled in the industry. Ring's philosophy is to provide high quality internal communication and security systems that are extremely innovative, yet practical. Ring continues to set the standard in the internal communications field. We produce a full array of small and large systems that are customizable and are designed with built-in flexibility. Ring's ongoing research and development demonstrates a commitment to improving our existing products and developing new ones. This guarantees our existing systems are maintained at the highest standard of excellence. Thats why many Ring-Master systems currently in use date back to 1961. Ring's "Crisis Alert" System provides the platform for a supervised communications system for today's security requirements and ADA Compliant elevators and communications systems. In the 1980's, Ring Communications was heavily involved in Emergency 911 telecommunication systems. Towards the end of the 1980's a marketing decision was made to divert those technologies and utilize them to enhance the functions, features and reliability of Ring's intercom products. Today, Rings products are brought to market quickly and with the flexibility needed to meet the special requirements that the markets we serve demand. 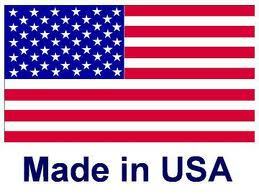 The products that are developed and assembled in Rings New York facility proudly wear the Made in the USA emblem. The future of Ring Communications, Inc. shines brightly, and is reflected in our continuously expanding distribution network the many exciting new products under development our outstanding technical advancements... and our commitment to quality and service.